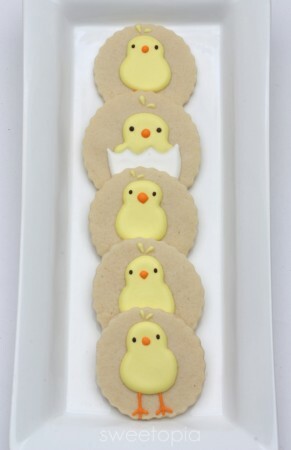 Want to make some simple decorated Easter cookies? 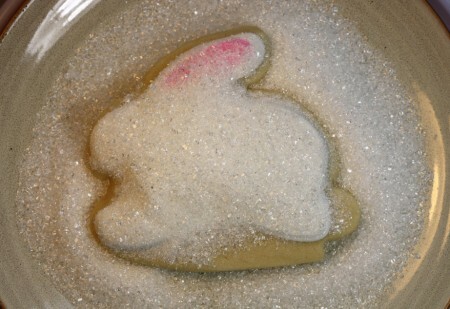 Try these marbled Easter eggs and chicks or these bunnies covered in sanding sugar. 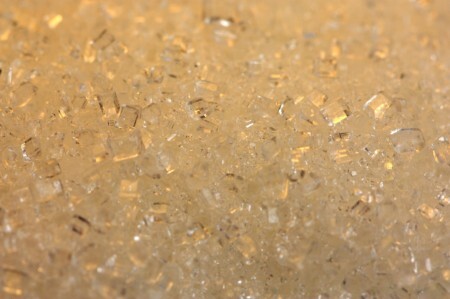 Love that sanding sugar ! It actually looks kind of sparkly in some lighting. 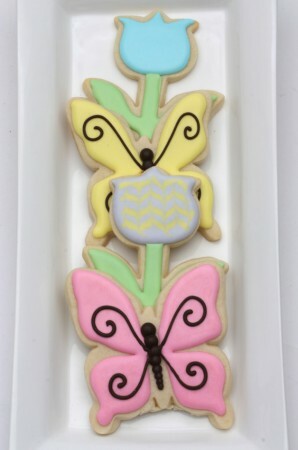 After you’ve baked your cookies and let them cool, it’s time to decorate! 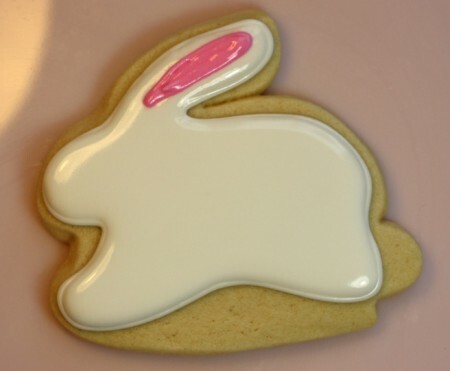 For tips and hints on making royal icing and an in-depth cookie decorating tutorial, click here. 1. 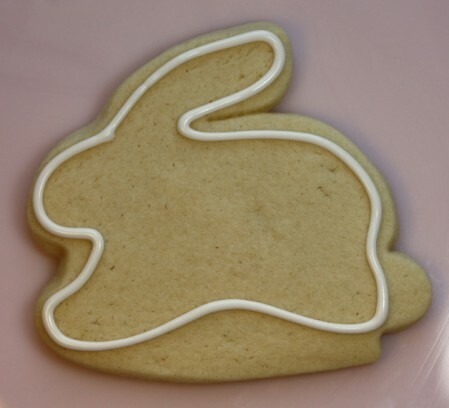 Pipe the outline of your cookies. 2. Fill or flood the outline. 3. 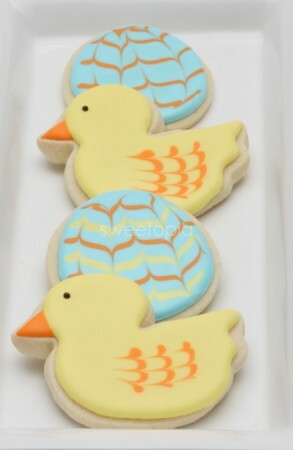 Gently shake the cookie from left to right to help settle the bumps if there are any. 4. 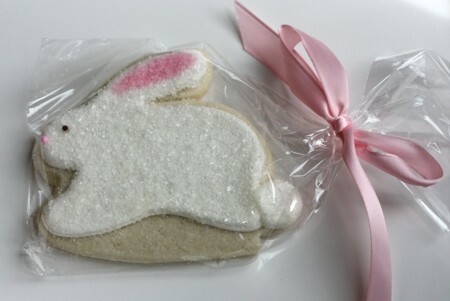 Add the pink detail on the bunny’s ear. 5. 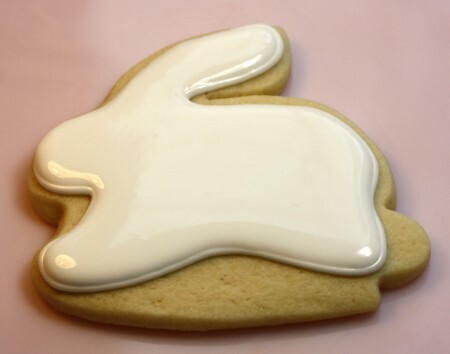 Gently shake the cookie again to smooth the icing. 5. 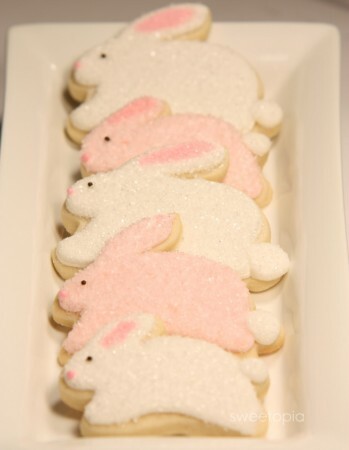 Place your cookie on a plate and pour sanding sugar over it when the cookie icing is wet. 6. 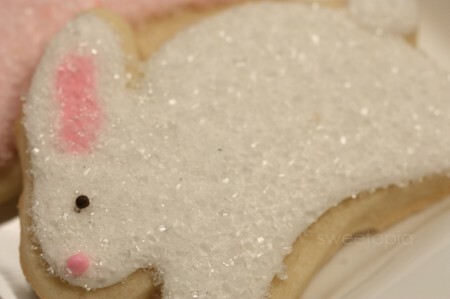 Tilt cooke above the plate to remove the excess sanding sugar, and leave cookies to dry. 7. Add any details such as eyes, nose, tail etc. 8. 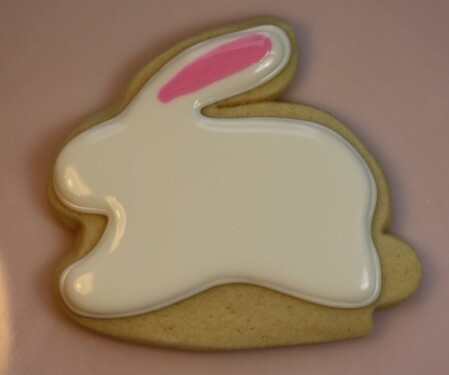 When the icing has dried, bag (if you like), and serve! 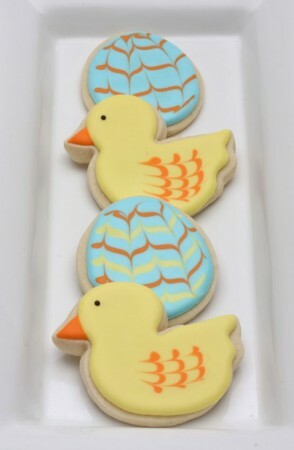 To make the following Easter eggs and chick cookies, please see the marbling technique in my Cookie Decorating Tutorial – General Tips and Butterfly Cookies.